Stephen Pedersen, age 75, of Nebraska City, passed away on Wednesday, October 3, 2018, at Nebraska City Care & Rehabilitation Center. A Graveside Service will be held at 2:00 p.m., Friday, October 19th at Aurora Cemetery. Rev. Loras Grell will officiate. No visitation. Memorials may be made to the family to designate at a later date. Condolences may be e-mailed to the family through the mortuary website at www.higbymortuary.com. Stephen Dee Pedersen, the son of Hilbert and Maysel (Shaneyfelt) Pedersen, was born in Omaha, Nebraska on January 25, 1943 and passed away in Nebraska City, Nebraska on October 3, 2018, at the age of 75. He graduated from Schulyer High School in 1961. Stephen moved to Aurora where he worked construction. He enjoyed playing baseball for the City of Aurora. He went to Texas and attended broadcasting school and later was a D.J. for a local radio station. Stephen then took time to travel to Ireland and Norway. He was a proud Irishman. He moved to California and worked at Solvan as a baker, then moved to Yosemite National Park, where he was a pie baker. 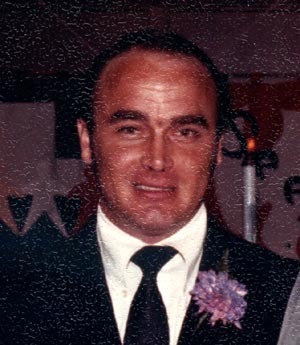 Stephen returned to Seward, Nebraska in 1977 and worked at Walker Manufacturing until his retirement. He moved to Nebraska City in 2016 where he enjoyed his last years at Nebraska City Care & Rehab, where he made many friends. Stephen loved music, singing, playing the accordion and piano. He enjoyed sports, football & baseball. He loved his dogs and was especially fond of Schipperkes. Stephen enjoyed reading , a cold Budweiser and loved to walk and ride his exercise bike. He was a Husker fan and Notre Dame fan. Stephen enjoyed his time with his niece & nephew as well as great nieces and nephews. Those left to cherish his memory are his sister, Chris Pedersen; nephew, Lance (Ann) Naderhoff; niece, Stena (John) Seamann and great nieces, nephews, friends and family.